LUMS Open Day 2018- Mapping the road to your future. What do I do next? That is the question that most of us who have finished school and are looking to start university are asking ourselves right about now. With all the admissions chaos surrounding us, it can be pretty easy to get lost and confused about what’s important and what’s not, what to know and how to get to know it. Instead of thinking of vacations and New Year’s plans, we’re all pondering test registrations, references, personal statements, attesting relevant documents, and a host of other university-related questions and tasks. That’s where Open Days can be your best friend! Open days are specially designed to give potential students insights about a particular university, making that all-important decision just a little bit easier! The LUMS Open Day 2018 is a great opportunity to grab information about the university itself, its dynamic campus life, abundant and advanced facilities, learned faculty, and extra-curricular activities. Added to this, LUMS gives you a chance to meet and greet with the learned faculty responsible for nurturing the raw young minds, and shaping them into the innovators, thinkers, creators, and researchers of tomorrow. You have the chance to have direct and casual conversations with them, which will help you better, understand the choices that will impact your life. Of course, university life is about a lot more than just academics. The LUMS Open Day 2018 offers well-designed campus tours to help you get a chance to experience campus life as it is, to catch up with current Luminites, ask them about their experiences, their struggles, why they chose a particular major, and how LUMS has changed their lives. For those of us who have completed our undergraduate degrees, it’s important to remember that academic life does not end there! The Open Day is equally relevant for all those looking to make their way towards a post-graduate degree. So, it may be worthwhile dropping by even if you are only toying with the idea of returning to academia. Whatever your interest, by the end of a full, active day, you should be in a much better position to assess whether or not LUMS is the right place for you. Remember, every journey begins with the first step – so see you at the LUMS Open Day 2018! 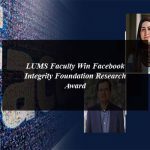 The Lahore University of Management Sciences (LUMS) is a world-class academic institution with a proud history of achievement and ambitious plans for the future. Since its inception in 1985, LUMS has striven to achieve the aim of imparting world class education while encouraging research and intellectual growth in the country. The University has five schools, namely, Suleman Dawood School of Business, Mushtaq Ahmad Gurmani School of Humanities and Social Sciences, Syed Babar Ali School of Science and Engineering, Shaikh Ahmad Hassan School of Law and School of Education. LUMS has played a key role in setting high standards of academics and producing professionals who can compete with counterparts from any university across the world.